This child on a push bike is really confident that he was about 30 m away from his mother, and he’s not going to get run over by cars. As a lot of us did when we were kids decades ago, we all biked and that experience became one of our fondest memories. As kids, my best friend and I would ride our bikes everywhere. We biked to our school on the weekends to play marbles, to buy sweets from the corner store, and rode just about everywhere in our neighborhood. 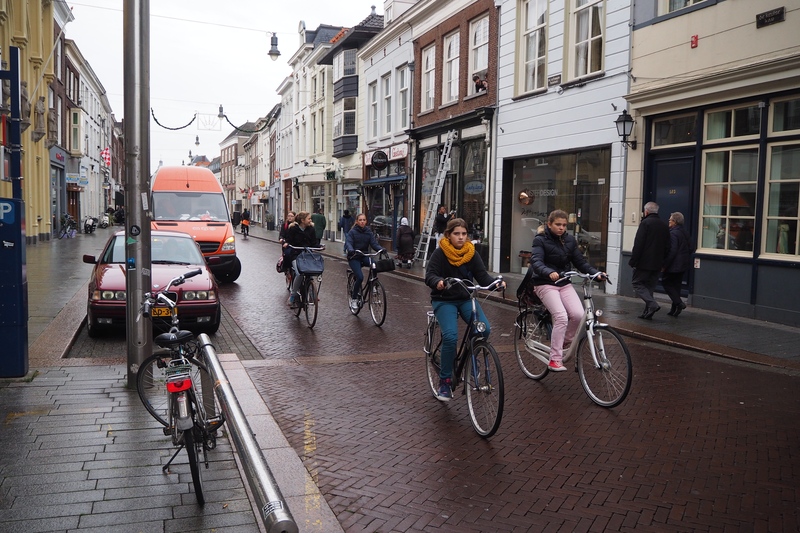 This was all very safe to do because cars were few and drivers were considerate of people on the streets. The signs to the right show that cars are restricted to enter the city center at all times of the day, except residents. Now, we have pretty much lost that and children roaming streets on bikes are non-existent. But in these Dutch cities that I have visited so far, I felt these kids are empowered and independent. I see them having their own bikes decorated to their personal likings. I see them leading in front of their parents. I see them riding with their friends to school together. After they are done, I see them locking up their bikes. I have never seen so many kids out and about. These are scenes that I remembered growing up with. 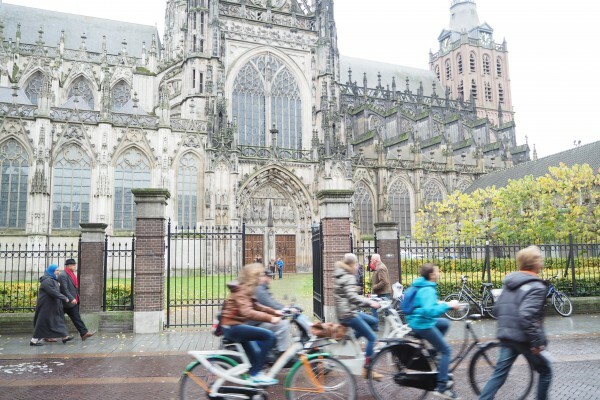 This is in front of Saint John’s Cathedral, a famous atttraction in Den Bosch. 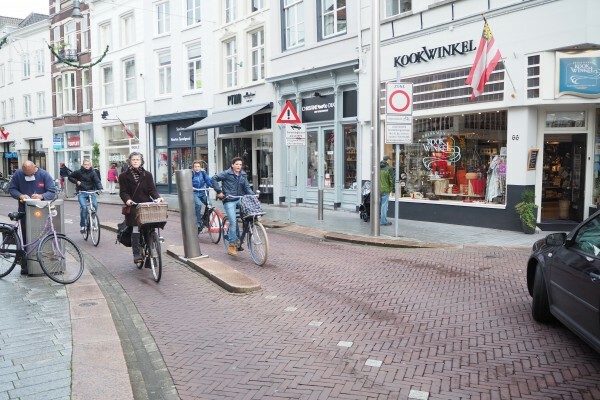 What’s incredible about these Dutch cities, is that these all happen inside city centers. When you think of city centers, you think of traffic congestions and crowds. 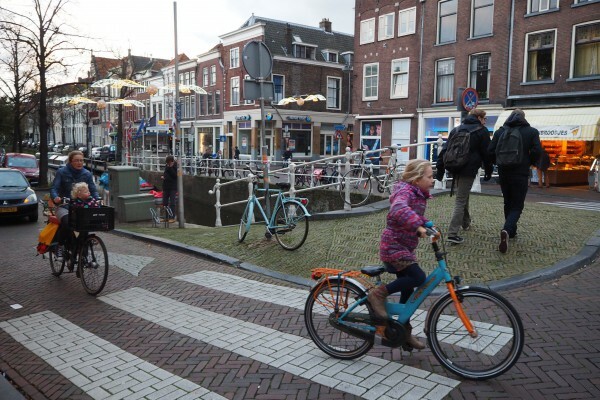 But when you close the city centers to automobiles or when majority of the population rides, this actually widens up the space and creates a safe place for all children alike. What these city centers offer to kids too, is that everything is there to foster their curiosity and to learn what’s out there in an adult world. 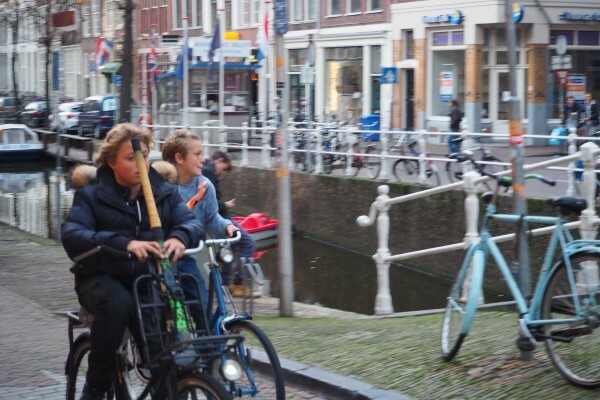 I am curious as to know whether Dutch children are most happy children due to biking and safer streets. Even without studies, I anticipate so. 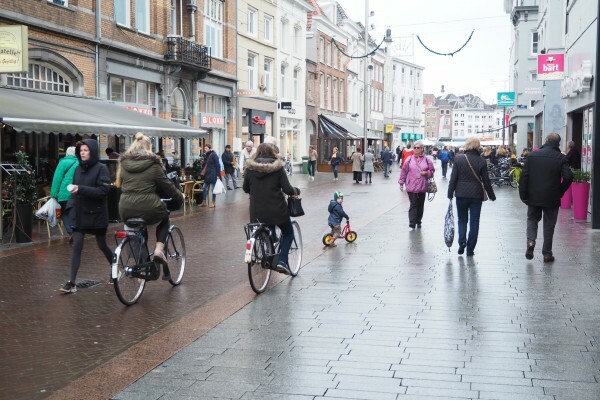 Update: Indeed, Dutch kids are the happiest children in the world in a UNICEF study done in 2013 (this was brought to my attention from Mark @ Bicycle Dutch). These two kids are riding to play some kind of sports. There’s no such thing as soccer moms in these cities. This child here is leading the way. And check out the little child on the front basket. Happy as ever! 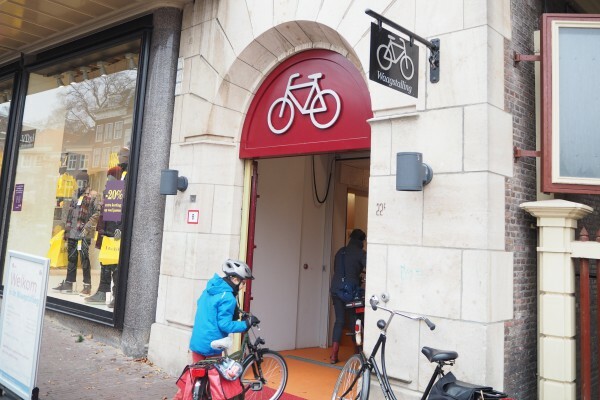 Here, this boy is going inside the bike parking structure in Leiden. 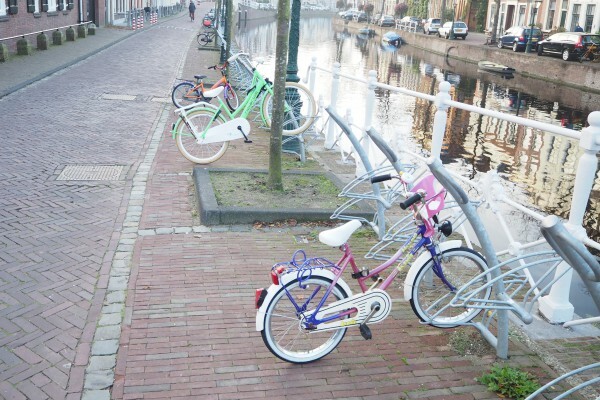 These bike racks can fit both adult’s and kid’s bikes which are ubiquitous. By having this, kids can have the same empowerment as adults, as it should be.